New Endangered Species Act Needed for Black Men? So maybe the 110th Congress controlled by the party that is 'supposed' to be more sympathetic to the concerns of black people should consider passing an Endangered Black Males Act. Of course, then white males might complain that they are outnumbered in the world and thus more threatened than historically abused black men. 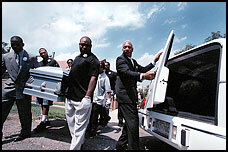 Who knows how an EBM Act could protect black men from hate anyway? We just know that a world without black men would be a miserable world. 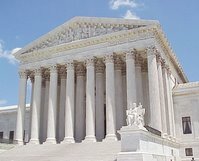 The Supreme Court is hearing oral arguments for Massachusetts v. Environmental Protection Agency, which seeks to force EPA to regulate greenhouse gases. EPA does not believes the Clean Air Act covers carbon dioxide as an emission that can be regulated. There are also complex legal questions as to who has standing regarding injury. The Clean Air Act states that the EPA Administrator "shall by regulation prescribe...standards applicable to the emission of any air pollution from any class or classes ofnew motor vehicles or new motor vehicle engines, which in his judgment cause, or contribute to, air pollution, which may reasonably be anticipated to endanger public health or welfare." The New York Times reporter writing about this issue is actually named Linda Greenhouse. Go figure. 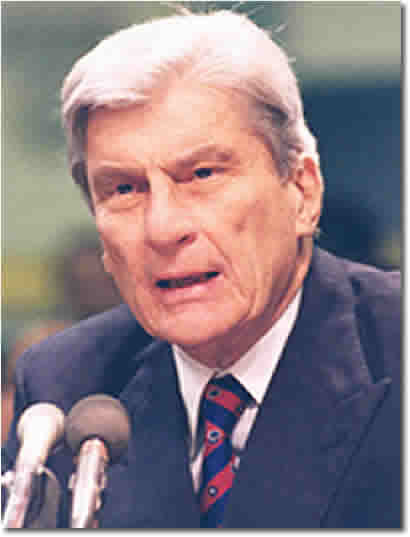 Senator John Warner (R-VA), left, decided to start a fight with former EP&W Chairman James Inhofe (R-OK), right, over who will be the top Republican on the committee. Senator Warner declared his seniority for EP&W because he lost his chairmanship of the Armed Services Committee. Warner is the senior member of the Environment & Public Works Committee, but Inhofe is the immediate past chairman. GOP senators will make the decision on the ranking minority member of the EP& W Committee for the 110th Congress by Jan 3. Warner probably wants to give the GOP a more user-friendly face on global warming. Senator Inhofe is very aggressive in promoting his view that climate warming is not a problem but simply a normal cycle in atmospheric conditions. Senator Barbara Boxer, the new EP&W Chairwoman, will loudly promote a proactive climate change agenda all the way up to the 2008 presidential elections. The voting public is seriously concerned about global warming as long as they do not have to make any personal sacrifices to prevent it. Voting is much easier than giving up that SUV for a Prius. 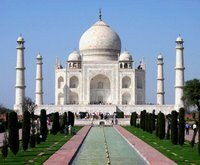 On a vote of 82 to12 (Nov 16) the U.S. Senate approved a deal that will provide them with U.S. nuclear power technology without India being a signatory to the Nuclear Nonproliferation Treaty (NPT), which bars such deals. 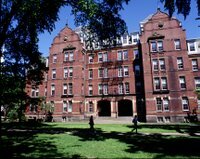 Harvard University has announced that from now on undergraduate students from low-income families will pay no tuition and will not require student loans. If you know of a family earning less than $60,000 a year with an honor student graduating from high school soon, Harvard University wants to pay the tuition. 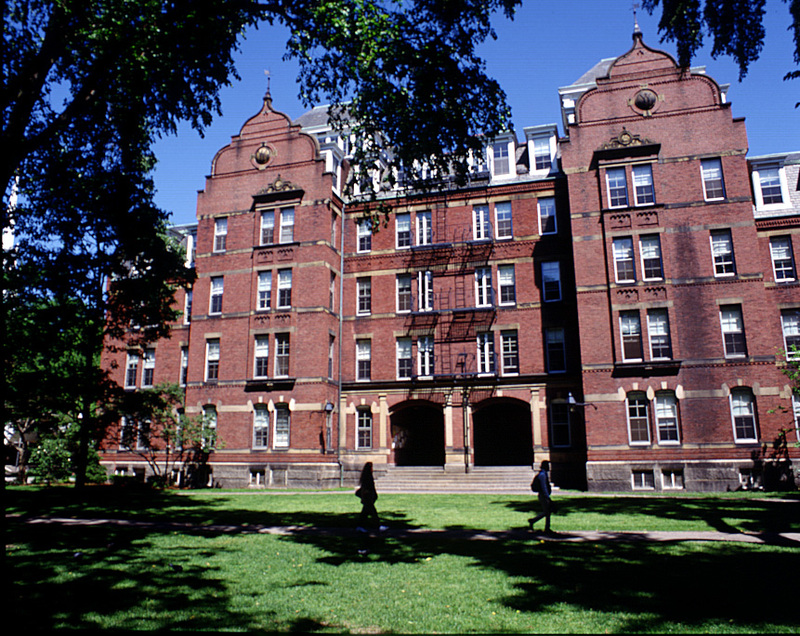 In addition, Harvard announced reduced fees for students from families with incomesbetween $60,000 and $80,000. To find out more about Harvard offering free tuition for families making less than $60,000 a year visit Harvard's financial aid website. We like Senator Joe Lieberman because he helped in passing the "1st Civil Rights Legislation of the 21st Century - the NO FEAR Act," defends Israel, is reasonable about war, is good on global climate change, supports nuclear power and was a good VP nominee. Now what about pulling off a victory after losing his primary and being deserted by his party? Being deserted by his party comrades did not distract the Senate Fox. 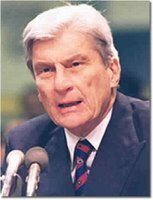 Now an Independent, he still threw his support behind those that deserted him to help the Democrats take control of the U.S. Senate. 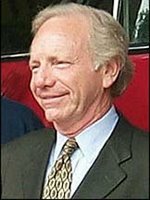 Connecticut might be in a precarious position in meeting its electricity needs, but they produced real power by reelecting Desert Fox Joe Lieberman. Go get'em Joe. AAEA is delighted that racism lost in the Virginia senate race. Former Senator George Allen, right, was finally penalized for his sneaky brand of racism and we are glad he is out of the U.S. Senate and off the Senate Energy & Natural Resources Committee. Modern sneaky racism is still toxic. George's pollution was finally caught on camera. He knew S.R. Sidarth, left, and knew his name but called him "macaca or whatever his name is." 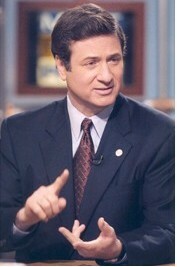 Allen then tried to lie his way out of his videotaped racism. The lame "I had no idea" excuse is old with victims of racism. Fortunately, the U.S. Senate has one less (sneaky) bigot. Howard Lincoln Shearer, right, is the President and Chief Executive Officer of Hitachi Canada Ltd (HCL). He joined Hitachi in October, 1984. 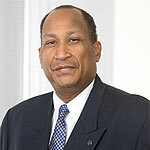 He is also a member of HCL's Board of Directors, a position to which he was appointed in 1999. Prior to this, he served as Vice-President & General Manager of HCL's Semiconductor division. Prior to joining Hitachi, Mr. Shearer was employed in the high-tech industry by Texas Instruments. 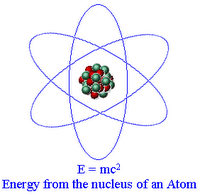 Mr. Shearer holds a bachelor's degree in electrical engineering from McMaster University, Hamilton, Ontario and is a member of the Energy Council of Canada and the Canadian Nuclear Association. Oprah Winfrey, left, with AAEA President Norris McDonald, surprised attendees by walking through the crowd at the Ceremonial Groundbreaking for the Martin Luther King, Jr Memorial. She walked right up to our president and shared a moment (even though the crowd almost ruined the photo). 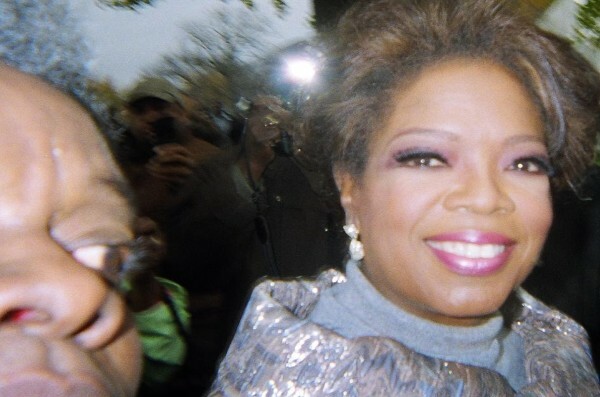 The people rushed Oprah and she indulged them. Oprah shared herself with the people and they loved it. The memorial will be located between the Lincoln, Jefferson and Roosevelt memorials on the National Mall near the Potomac River facing the Tidal Basin. President Bush, former President Bill Clinton, The King Progeny, Andrew Young, Jesse Jackson, Al Sharpton, Walter Fauntroy, and many other dignitaries particupated in the event. SOS To Oprah: If you ever see this, would you please take a better picture with Norris McDonald. Thanks. That shot is pretty desperate. The New York State Assembly Puerto Rican/Hispanic Caucus held its 2006 Winter Conference at the Intercontinental Hotel, Resort & Casino in San Juan, Puerto Rico from November 9-14. AAEA President Norris McDonald was a speaker on the panel entitled, "A Public Health Crisis in the Hispanic Community in New York and Puerto Rico." 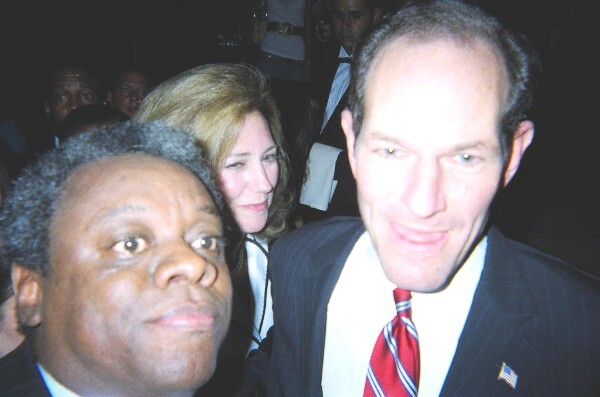 McDonald is pictured at left with the New York governor-elect at the 'Evening Reception: An Evening with Eliot Spitzer. The asthma panel included an examination of the status of asthma in Hispanic communities across NY and Puerto Rico. The discussion included the physical and psychological impact of asthma and practical solutions that government and health care must address. Panelists also included Congressman Joseph Crowley (D-NY 7th), Sharon Carpenillo, Commissioner of NYS Office of Mental Health, among others and Mark J. Weinstein was the workshop coordinator. McDonald suggested that Puerto Rico could become the Japan of plug-in, fuel cell hybrid electric vehicles. Combined with nuclear power, the U.S. and Puerto Rico could go far in cleaning the air. Michael Steele received 23% of the vote in Prince George's County in the general election and Kweisi Mfume received 71% of the vote in the primary against Senator-elect Benjamin Cardin. The percentages were similar for Baltimore City. Cardin beat Steele statewide by a margin of 55 to 44 percent. Even though Blacks expressed more frutration with being neglected by the Democratic Party, they refused to translate that frustration into votes for a Black running as a Republican. Former County Executive Wayne Curry and all five of the Black members of the current county council endorsed Michael Steele. Black voters in the richest majority black county in the country voted party over race. Another of the nation's richest counties, Montgomery County, elected a black man, Ike Leggett, as its county executive. Massachusetts also elected a black governor, Deval Patrick. Although race still matters in the U.S., it does not seem to matter as much as it used to. Imagine that. Congressional Black Caucus members John Conyers (D-Mich) will be chair of the Judiciary Committee, Charles Rangel (D-NY) will chair the Wsys & Means Committee, Bennie Thompson (D-Miss) will chair the Homeland Security Committee, Juanita Millender-McDonald (D-Calif) will chair the House Administration Committee and Alcee Hastins (D-Fl) will chair the House Intelligence Committee. Senator Barack Obama is on the Senate Environment & Public Works Committee, where Barbara Boxer (D-CA) will replace James Inhofe (R-OK) as chairman. Jeff Bingaman (D-NM) will chair Senate Energy & Natural Resources. John Dingell (D-Mich) will chair the House Energy & Commerce Committee and Nick Rahall (DWV) will chair the House Resources Committee. Hope Babcock surely believes she is right about the Intercounty Connector causing more air pollution, but she is wrong. The pending lawsuit by her Institute for Public Representation at Georgetown University Law Center represents an example of what is wrong with the 21st Century environmental movement. Although we do not expect much out of the Sierra Club in these matters, we are disappointed that Environmental Defense, one of the more sensible environmental groups., is party to this anachronistic litigation. The Intercounty Connector, along with the Woodrow Wilson Bridge replacement and the improvements at the Mixing Bowl will improve environmental conditions in the Washington Metropolitan Area. The greens are using the Clean Air Act nonattainment status of the Washington Metropolitan Area as the excuse for the litigation. Although the Clean Air Act does call for banning new highway construction for nonattainment areas, the provision is rarely enforced by EPA or Congress. Moreover, highways do not cause air pollution, cars cause air pollution. This flawed 'stick' in the law should be modified or eliminated because it does not work. Nuclear power plants combined with fuel cell plug-in hybrid electric vehicles are real technological solutions to the air pollution and global warming problems. Litigating a dead horse will not help in winning any horse races. The environmental movement should move into the 21st Century. 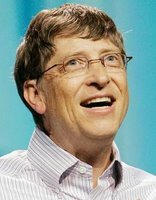 He revolutionized computers, left the revolution to pursue philanthropy, and is now entering the energy business. Cascade Investments LLC is Gates' investment vehicle and it has purchased PNM Resources Inc, a New Mexico utility. PNM and Cascade have formed a new company called EnergyCo Ltd to market electricity from unregulated power plants (called merchant generators). PNM is headquartered in Albuquerque, New Mexico. Approximately 5,000 delegates representing 189 countries are meeting in Nairobi, Kenya at the annual U.N. Climate Conference for the next two weeks to preview the latest scientific findings on a warming world. The 1997 Kyoto Protocol, an annex to the 1992 U.N. climate-change treaty, requires 35 industrialized countries to reduce those emissions by 5 percent below 1990 levels by 2012. The conference will continue talks on what kind of emissions targets and timetables should follow 2012. Signs of global warming are the dramatic ice meltings in the Arctic and Greenland's ice mass. Japan, Spain and other Kyoto signatories have registered emissions increases since 1990. A recent British government study predicts the damage from unabated climate change will eventually cost between 5 percent and 20 percent of global gross domestic product each year. A U.N. Environment Program report issued at the conference concluded that Africa' vulnerability to climate change was "even more acute" than prviously estimated. The Center for Environment, Commerce & Energy (the Center) has opened an emissions trading service with carbon dioxide as the main commodity. The Carbon Mercantile Exchange (CMX) is a service that allows clients to trade carbon dioxide, methane, sulfur dioxide, nitrogen oxides, and mercury. Customers can reduce their "emission footprint," the total emissions created by driving, flying, usnig electricity and other activities. CMX is easy to use and fully transparent. All transactions are open for public review. The CMX is a free on-line emissions offset clearinghouse service. CMX can be used to complement other emissions offset programs. Our mission is to promote verifiable reductions in greenhouse and smog-forming gases. The service is open to everyone. It is a market-based system that will rely on the goodwill of the participants to conduct honest trades. The service is a dynamic portal that will serve as a gateway for innovative emissions reductions. CMX is one part of a global effort to reduce global climate change and smog in our cities. The Green Magazine, a golfing publication by Vision Media and Communications, LLC, has a goal of capturing a growing yet untapped market of affluent multicultural subscribers consisting primarily of African-Americans, Hispanic-Americans and Asian-Americans. The cover stories focus on the lifestyles of accomplished personalities, well-known entertainers, sports celebrities, or leading business figures who share the readers' passion for golf. Sections include travel, business, finance, dining, and equipment highlights. The Green Magazine represents the good life well lived by people of every color. They represent the move beyond the typical multicultural paradigm by uncompromisingly developing content and imagery that is reflective of the African-American, Hispanic and Asian markets. The editorial content unapologetically affirms the burgeoning presence of the affluent multicultural market and anticipates its growth. Their language sounds great. Bottom line: this is one of the most polished and graphically appealing magazines we have ever seen anywhere by anyone.